Radio is a highly relevant and effective medium for Entertainment & Leisure brands. Find out why and how with our four-point guide below. 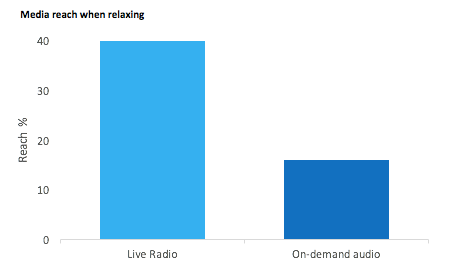 With radio the advertiser has the opportunity to reach 40% of people while they are relaxing, when listeners are likely to be more open to messages about how to spend their leisure time. 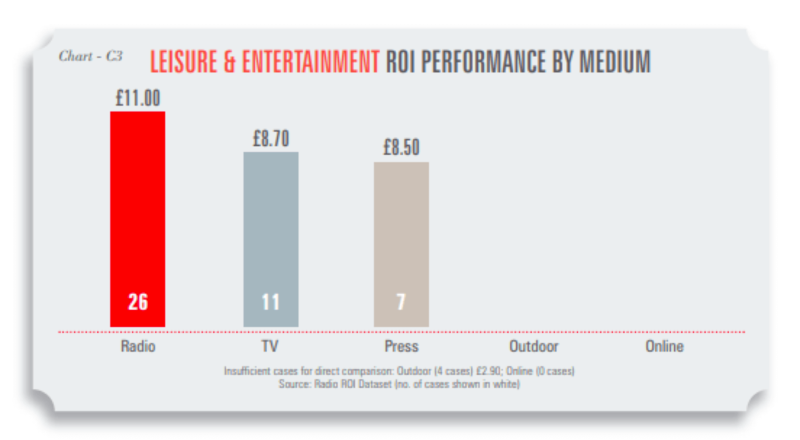 Radio is the best performer for Leisure & Entertainment advertisers with an average ROI of £11.00 over 26 campaigns. 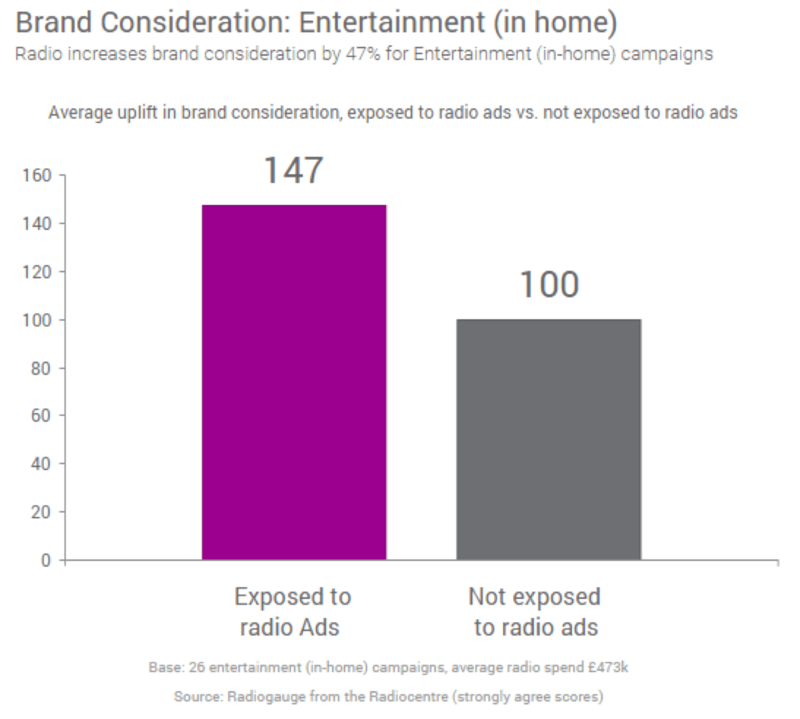 Radio’s strong call to action is highly effective at driving purchase when decisions are one-off rather than habitual (e.g. tickets to events). Ongoing effectiveness research study Radiogauge underpins how radio has a significant uplift effect on awareness, brand relevance, and consideration for Entertainment & Leisure brands. 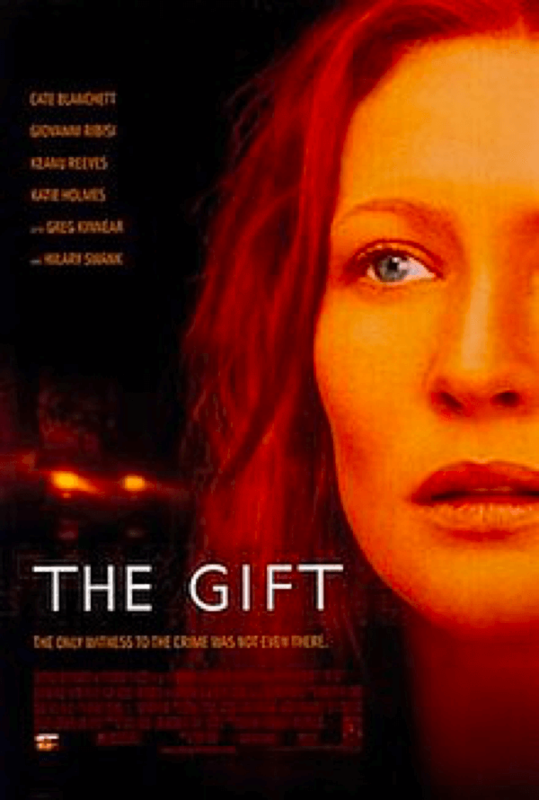 Radio plays a key support role to TV in maintaining cinema admission rates.